World of Warcraft players can purchase a new Blossoming Ancient pet through the Blizzard Store today. 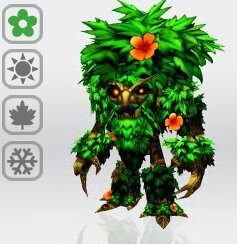 The Blossoming Ancient is a sentient tree that changes appearance throughout the year. 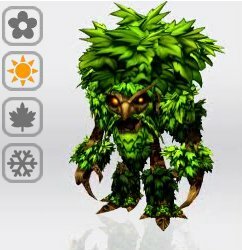 "Born from a seed of one of the Ancients, these spirited saplings are destined to regrow and heal Azeroth from the devastation caused by the Shattering," reads the pet's description on the Blizzard Store. "Adopt one, and you’ll be rewarded with joy throughout the year - as each new season begins, the Blossoming Ancient changes, bringing new life to its surroundings." 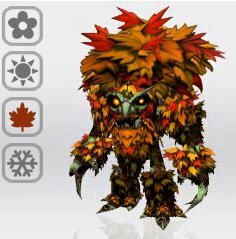 The pet's change from season to season is dramatic. During the spring and summer, it's green with blooming flowers. In the fall, its leaves are red and orange and fall off with every step. 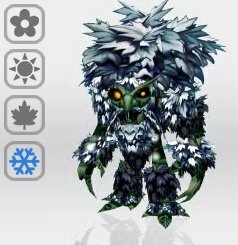 The winter version of the Ancient is covered in snow. The Blossoming Ancient costs $10 to download. It can be redeemed automatically by the buyer or sent as a gift to a friend. When activated, the pet will be unlocked for all present and future characters on a single account. Blizzard sells numerous mounts and non-combat pets through their online store. Previously released pets include the Cenarion Hatchling and Cinder Kitten.